You could be excused for dismissing MTV’s new fantasy epic, “The Shannara Chronicles,” as a YA Frankenstein’s monster cobbled together from pieces of previous successful works — that is, if you didn’t know that it’s based on books written by Terry Brooks more than 30 years ago. Still, in today’s crowded marketplace full of Chosen Ones and dangerous future societies, some cynicism is to be expected. But three decades doesn’t get Brooks off the hook for what seems the most glaring influence — J.R.R. Tolkien’s “The Lord of the Rings” series. Of course, it doesn’t help that the main action concerns elves, or that those elves are ruled over by a king played but “LOTR” dwarf star John Rhys-Davies. But it’s also a dystopian future, with the vine-covered ruins of skyscrapers, shipping freighters and Space Needles dotting the otherwise idyllic landscape. 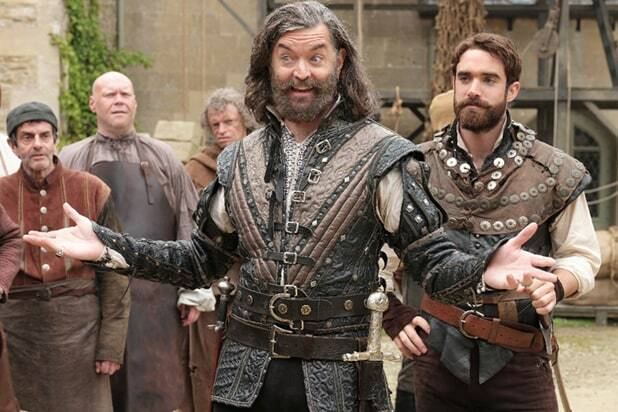 Showrunners Al Gough and Miles Millar are cagey on exactly how far into the future we’re looking at here, but it’s long enough for elves, orcs and demons to become enough of a thing to have their own centuries-long history of feuding. But there’s another kind of Chosen One, too — half-elf Wil Ohmsford (Austin Butler), of the classic Skywalker vintage of a blonde farm-boy who’s unaware of his destined greatness until a tough mentor comes along (Manu Bennett’s Allanon). Wil is one of the descendants of Shannara, meaning he’s obviously important. As a bonus for the audience, since he doesn’t know all that yet, he’s able to ask all sorts of useful expository questions. By the end of the two-hour premiere, Amberle and Wil’s paths have been joined and their fates bound, though it’s unclear which one of the two Chosen Ones gets to be the actual Chosen One. So does the series work? It’s hard to say. Fantasy fare like this generally has a pretty low bar to clear and a pretty forgiving target audience, but the heavy-handed jargon, pointy elf ears and brooding self-seriousness of “The Shannara Chronicles” might be too much for even those fans. It doesn’t help that the characters seem to be allowed to switch from talking dour fantasy-novel heroes to bored millennials whenever the mood strikes them — perhaps something that might have to do with this being MTV. But fans of Tolkein or “Game of Thrones” or “the Hunger Games” or “Divergent” or really any number of knock-offs of this style of world-building will probably find enough to like to look past the series’ obvious flaws. 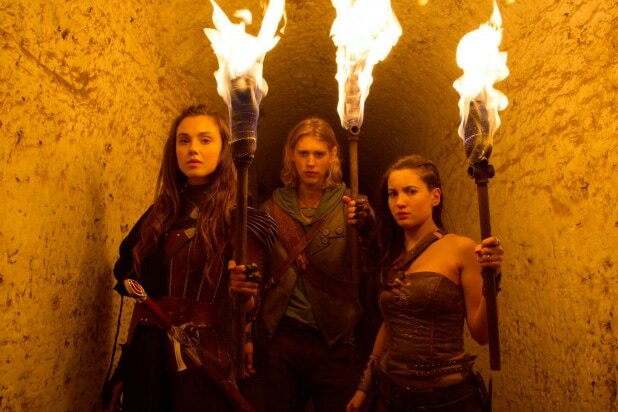 “The Shannara Chronicles” Premieres Tuesday, Jan. 5 at 7 p.m. on MTV.